Slideshow: The AMG GT four-door Coupe brings the top-notch performance of AMG in a spacious 4-passenger package..
On select parts of the German autobahn, you can drive as fast as you like. German brands, such as Mercedes, build family cars with the high-speed capability of a supercar. The latest addition to that legacy is AMG’s new GT 4-door coupe. Unlike AMG’s other four-door performance cars, the GT63 4-door isn’t related to a traditional Mercedes-Benz sedan platform. It’s a repackaging marvel and adds sedan comfort without diluting the GT-series dynamics. The center of gravity is low and like the two-door AMG GT, this four-door variant also has trick aero bits, such as an active rear spoiler for improved aero. 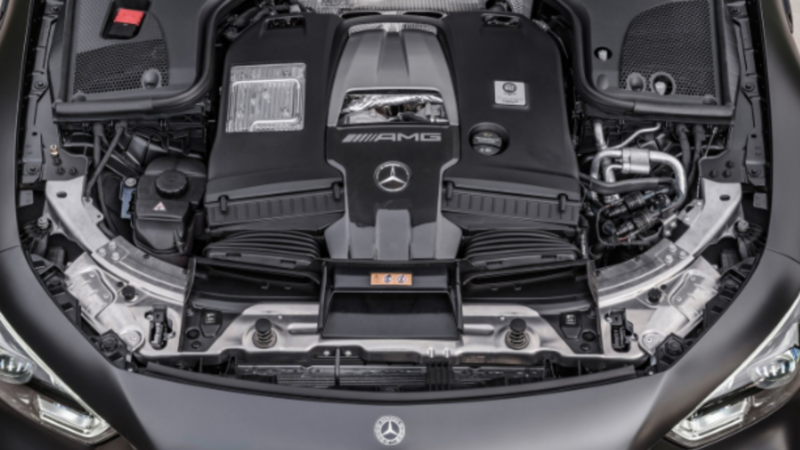 The 63-series nameplate is synonymous with AMG’s most potent performance cars and although that number corresponds to only 4 liters of V8 engine capacity in 2018, the bi-turbocharged forced-induction regime means you get 577hp. If that's not enough power, as with most AMGs, there’s an ‘S’ option too, which boosts power output to 630hp with all-wheel-drive. Not to worry, for rear-wheel purists, there is AMG’s selectable drift-mode, which disables all the driver-assistance systems and sends all 630 of those horses to the rear wheels. 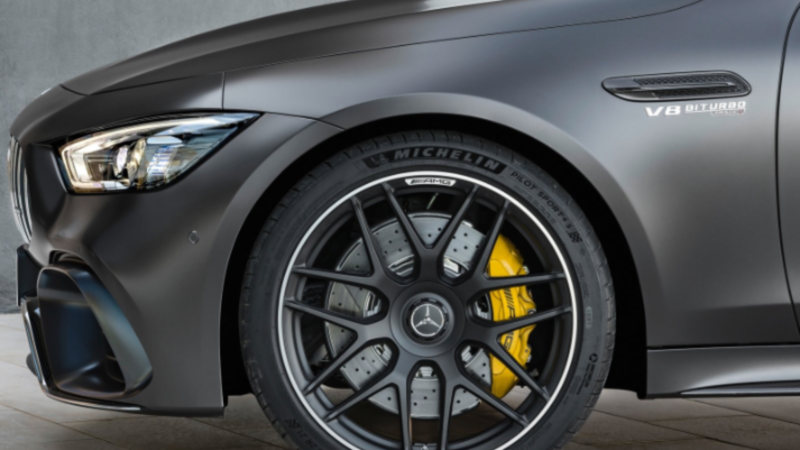 If you drive a car with bright yellow brake calipers, it better be fast enough to justify the extravagance. 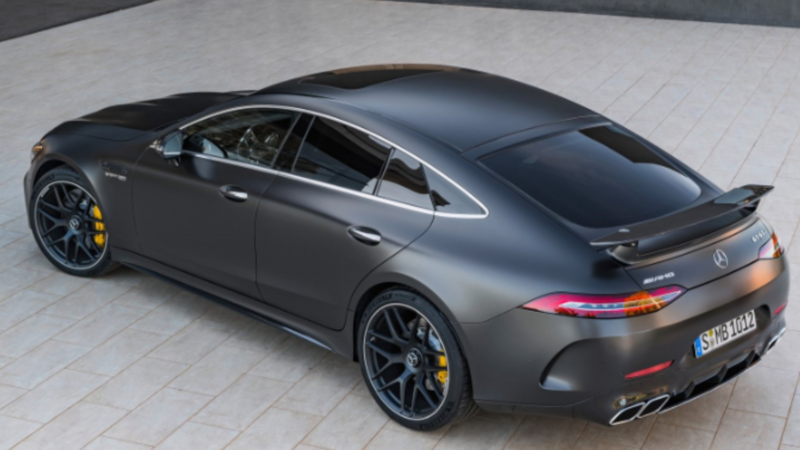 AMG’s GT63 four-door is no exception. It’s a solid luxury car and weighs in at 4488 pounds, so considering the massive amounts of power, a performance braking system is definitely called for. Capable of 0-60mph in a blink over three seconds (3.3 sec to be exact) and geared for a true top speed of 196mph, the 4-door coupe is a real autobahn stormer. Keeping the GT63 stable at speed and agile when going around corners, is a three-chamber air-suspension system with adaptive dampers. The AMG GT 4-door cabin is part digital race car, part classic German luxury car. Comfort levels are high enough to attempt a coast-to-coast drive in one of these, but the really interesting bits are digital elements. Anchoring the interior architecture are twin 12.3-inch infotainment screens. Structurally, these are not new to the Mercedes-Benz product line, but in the GT 4-door they sport an additional AMG-specific mode, which includes a gear indicator prompt, goading to shift at the most appropriate engine power peak. 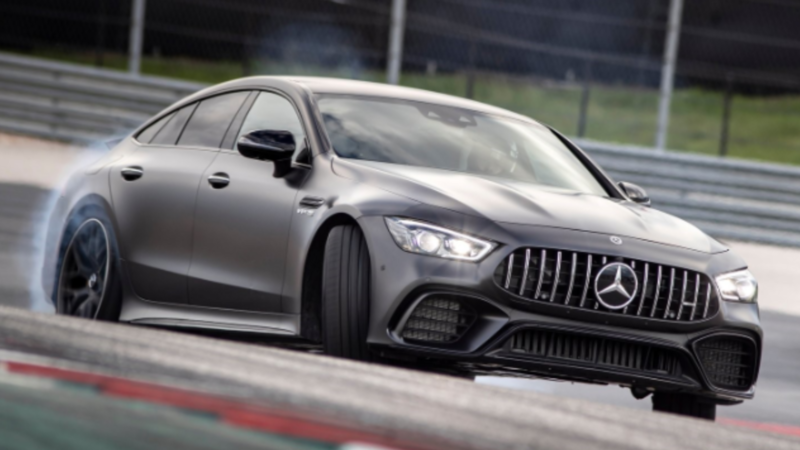 AMG expects its customers to attend track days and to ensure those GT 4-door owners have the most fulfilling experience, there is an AMG ‘Track Pace’ in the infotainment system, which allows access to a vast diversity of telemetry for high-performance driving.